The Five Love Languages is an extremely popular book. I have never cared for it much. It seemed selfish to me and is just another way to place too high of expectations upon others, especially our husbands. “If you don’t love me the way I want to be loved then you can forget it.” I even have a friend who “unfriends” anyone who does not speak her love language. We must be very careful about popular terms that are not in the Word of God. Does the wife who wants affection but isn’t receiving it get mad at her husband for not giving it even after she specifically told her husband that she loves affection? We don’t need one more man-made principle and expectation that can easily divide couples. Maybe a wife loves quality time together since this is her love language, but her husband works so hard to support the family that he doesn’t have time to fulfill this desire of hers. Another one loves to receive gifts, but the husband is a terrible gift giver. Many women love words of affirmation, but maybe you are married to a man who doesn’t give these to you. Others love lots of affections and the other spouse doesn’t. Do you realize that none of these are how the Bible defines love? We were all created so differently. We all have different personalities, different likes and dislikes, different taste buds and perspectives, and the list goes on and on. The Lord has told us that the greatest of all is the servant of all, however. He has also commanded us to be living sacrifices, deny ourselves, and do unto others as we would have them do unto us. Almost every single popular self-improvement, devotional, or marriage book of our day is not worth spending time on unless it is biblical. If something is very popular, it’s wise to proceed carefully and measure it with what the Word says. Just because something is popular doesn’t mean it is good. We are called to be as wise as serpents and as innocent as doves. 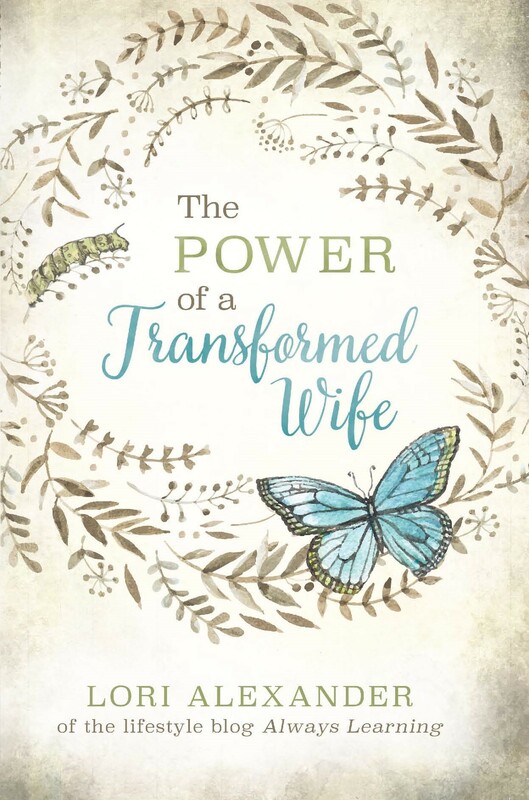 This book seems like it has hurt marriages more than helps unless one spouse uses the book to find out what the other spouse’s love language is and proceeds to love them in the way they like. This is good since we are called to please our husband and in order to please them, we must ask them what they like. However, this book could easily cause us to be too introspective and figure out what our love language is instead of loving others as the Lord has called us to love them in 1 Corinthians 13. Life isn’t about us and getting our way. It’s about giving our lives away for others. If this book has helped your marriage, great. But if you get upset occasionally because your husband isn’t loving you like you think he should love you, get rid of the book, it’s recommendations, and begin reading and studying the Bible instead. The Word perfectly describes what love is in 1 Corinthians 13. The KJV states that “Charity suffereth long.” If every married woman chose to “suffer” long (extremely patient) in her marriage, especially those who are married to disobedient husbands, think what great witnesses Christian marriages would be to a lost world of Christ’s relationship to His Church. He sure suffers long with many of us. Here is God’s prescription for love. No man can improve upon this definition. Love your husband with godly, biblical love and you will most likely have a great marriage! ***If you are interested in being encouraged by like-minded women who love the Lord and His ways, especially those pertaining to godly womanhood (Titus 2:3-5), feel free to join the Always Learning Chat Room. You will first have to fill out an application so we know that your intentions of joining are for good and a desire to grow up into Christ. 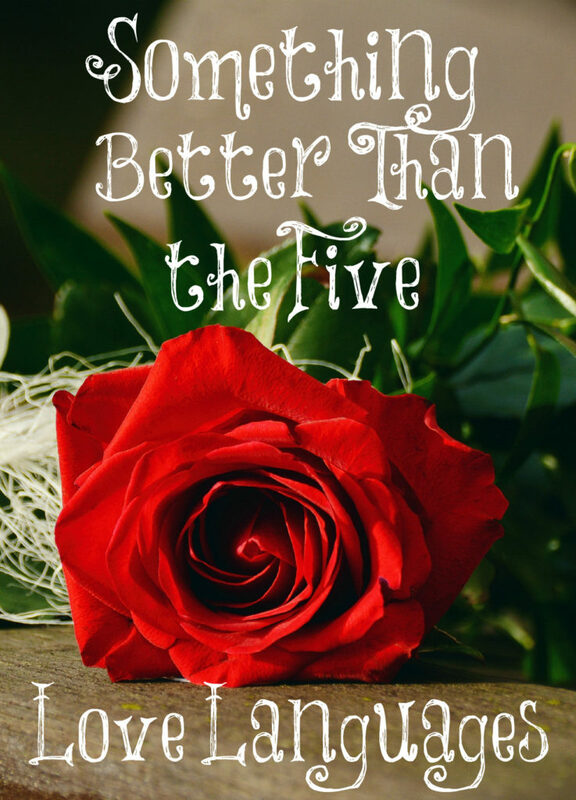 I’ve experienced the good and the bad of the 5 Love Languages. My husband was too stressed to provide the physical touch I craved and I felt bitter towards him since he knew it was important to me. I learned that acts of service were important to him so I often would look on how to improve in this area and was always pleasantly surprised how much it really did give him peace and helped him feel loved and respected. I understand that we often give love in the ways that we wish to receive it and thought it better and wiser to admire how he loved me and take notice of those loving acts instead of waiting on my preferences. Funny enough, as I’ve grown in respecting him as I should, he’s become more loving in the ways that I’ve desired, and now I appreciate it instead of measuring it. The world would have a panic attack over the thought of letting go of having certain loving needs met, but God calls us to love anyway and trust in His perfect love. Powerful ALM. That is faith in His word, coming to life. I am uplifted !! Memorizing and acting upon 1 Corinthians 13:4-8 is the most powerful way to love someone. I am not sure how anyone couldn’t respond to being loved this way. I stopped pondering how I wanted to be loved a long time ago and am better for it! Now, I continue working on loving others as the Lord has commanded us to do. Thank you, ALM. I absolutely love the book as it has greatly helped me understand my husband so much better, relate to him more fully, and love him in a way that he feels more fulfilled, but as always we should be givers and not takers. It’s great if your spouse chooses to relate to you better but a spouse should not be angry at the other if theirs is not being fulfilled as they wish. We should always go to God for the empty places we feel as He fills them like no other. Thank you, Lori, for taking up REAL topics. Wide is the path of popularity. Narrow is the Way. Christ defines “love” in one short, easy sentence: ” If you love Me keep My commandments.” And that is how we love all others as well. Bless you, in Jesus’s mighty name. Indeed and the loving others as we love ourselves. We enjoyed this book a lot. I listened to Dr. Chapman speak at a Hearts at Home conference and hr spoke about the importance of using this to better love others, not focusing on ourselves. My husband and I have really, really benefited from his book in our parenting. With having 4 kids in 3 1/2 years and a 5th due anyday we came into this parenting thing fast. Realizing how different each of our children our by their verbal and non verbal cues have helped us identify how each individual child feels loved. It amazes how they are all being raised together and in a similar way, yet they are still so very different. That’s great, Brit. I do know it has helped some people, however, I am not sure how any book can improve upon loving others as the Lord has commanded us to love in 1 Cor. 13. I am not sure what child wouldn’t respond to parents being patient and kind towards them. I think sometimes we focus too much on how we want to receive love and don’t accept it graciously if it is given differently. Knowing about the love languages can be helpful in some ways, but not if we use it as an excuse to complain when we don’t get love in our favorite ways. If we only ever receive love in our 1 or 2 favorite ways, we narrow our experience of love. And that’s especially true if we let ourselves become dissatisfied about how love is given and angry at our spouse. Learn to accept love from your spouse the way you receive gifts from friends and family – with gratitude and kindness, whether it’s exactly what you wanted or not. Learn to appreciate the thought behind the action, even if the action itself isn’t your preference. Not only is this helpful for your marriage, but it actually helps you to have a better mindset and learn to enjoy the love better. If a husband is loving his wife as 1 Cor. 13 states but doesn’t have time to spend a ton of quality time with her even though this is her love language doesn’t make him a bad husband. He is a great husband! “Learn to accept love from your spouse the way you receive gifts from friends and family – with gratitude and kindness, whether it’s exactly what you wanted or not.” Amen, Lindsay! I think the book has a two-fold purpose for the reader. First, to help the reader understand how to show love to others in ways they understand; and second, to help the reader understand and appreciate the ways that others are showing love to them. Using the book to try to force other people to treat you a certain way “or else” is selfish, immature and not in keeping with the book’s message at all. Obviously, people misunderstand and misuse everything (including the Bible), but the problem is with the person, not the message. There are many selfish and immature people, Vikki, and there always will be. I don’t know if the author of the book made it clear that it’s purpose was only to use as a guideline to help the person reading it to learn how to love their spouse more and not how to get their spouse to love them the way they want to be loved. I sure hope he did. There are people who use the Bible that way. They read it to find what everyone else should be doing for them. The problem lies within the heart of the reader. I really liked this book. I read it years ago and it helped me realize how important physical touch was for my husband. I enjoyed the book and it greatly helped me to understand (and recognize) not just my husbands ways of loving but friends, family members and of course our children. Being kind, compassionate and loving is wonderful and very much needed but Jesus reached and continues to reach each person on a personal loving level which they were created to understand. Within the Word his tone changed within the circumstance that He was addressing. Unfortunately any book can be used by the enemy to do harm….the bible included. Sadly, this is very true. I am so grateful for your blog and appreciate that you take on the hard topics! I actually really enjoyed this book and feel that the author did make it very clear that the point of all of this was love others in the way that speaks most to them, not selfishly use it to get manipulate others. Sadly, a person with selfish motives can take any book, even God’s precious Book, and twist it to try and place self-serving demands on those around them. I agree that there is nothing that can improve upon the definition of love God gives in 1st Corinthians 13:4-8, but I do think you can take the attitudes and character qualities God describes in those verses and put them with the love languages. For example, my husband’s love language is touch, which is lowest on my list. But, because I know that I am able to make an effort every day, multiple times a day, to show him love in the way that speaks to him the most. If I did not know this was his love language I would not make an effort to focus on making physical touch a priority. All that being said, I completely agree that we should memorize and seek to live out 1st Cor. 13:4-8, if we do that everything else will fall into place! I think this book is good for us as wives to know what our husbands love language is. Its not just about ourselves. I just wanted to thank you for this blog and this post. I honestly believe that I was led by God to learn from you (even though I found you from a friend posting a criticism of your teachings on Facebook!). For the most part, I nod along with what you say. Every so often, though, I come across a post that my mind rebels against and makes me angry. I’ve found that these posts are the ones containing the lessons I most need to learn. This post was one such lesson. Upon reading it, I became very angry, because one of the issues in my marriage is a mismatch in “love languages” between me and my husband– in fact, our lists of greatest to lowest love languages are exactly reversed. After reading this post, I stubbornly and selfishly clung to the belief that NO, you were wrong, and it wasn’t unreasonable for me to expect that my “needs” be met the way I wanted them to. I continued to be angry and rebel for a couple of weeks afterwards (in retrospect, a sure sign that God was trying to speak to my heart). And then, my husband wanted to give me a very expensive gift. I am not a materialistic person and to me, things are just “stuff”. I most desperately wanted, instead, to hear him say that he thought I was amazing, that he appreciated me. He, of course, is a very gruff, grumpy, and often critical man. (And I, for my part, am a terrible gift giver, even though I’ve tried desperately over the years to improve.) This grew into a surprisingly large fight, with me saying I didn’t want him spending so much on me. I didn’t realize until a day or so later just how badly I’d hurt him by turning down his gift. I realized that to him, it must have felt like I was rejecting his love, and I felt ashamed. I realized just how selfish I was being. In the end, I allowed him to buy me the gift– and was surprised to find that I was genuinely thrilled by it! I realized that, just as I will probably never be a good gift giver and would fail miserably if that’s the only way I could show my love, he will never be sweet-spoken and verbally appreciative, and I need to learn how to see the love he’s showing me. All this to say, thank you, you have really helped me. I know I still have a lot to learn, and still so many questions, but I think maybe I’m finally moving in the right direction. And to any women who read and become angry with Lori’s posts: Take a look at your heart and see if God is trying to tell you something. What makes you angriest may be what you most need to learn from. Thank you, Em. The less expectations that we place upon our marriage and just love them the way they are, the better! I have disliked the five love languages for many years now. They might be good for helping me love my kids in the ways that they need to be loved, but my husband always uses them to place the “bar” higher than I can jump. He has always said that his love language is “sacrifice.” In other words, he only feels loved if the love that is offered is truly a sacrifice to the person offering it. Now today, he said that actually “affection” is another of his love languages, but then he immediately followed it up with saying that it has to be given unconsciously. Like, if I have to plan it or think about it, then it doesn’t count. I feel so angry! I really do want to love him, but it seems like it would be a lot easier to love him if he had never read that stupid book!